Before we’ve even glimpsed inside the Trillium Brewing Co. restaurant opening soon in Fort Point, the growing beer company has given us something else to look forward to. 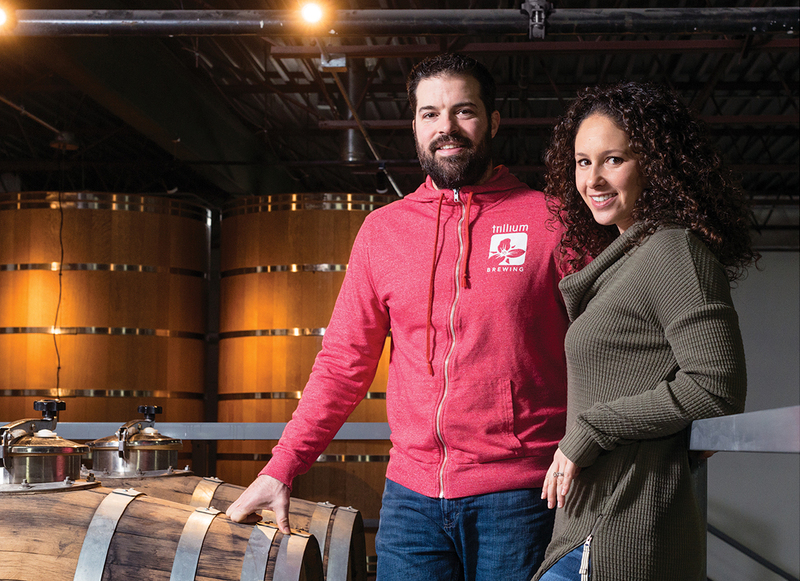 Team Trillium is officially expanding with its long-expected farm and brewery on the pastoral Connecticut coast. Cofounders Esther and JC Tetreault shared in a blog post that they’ve purchased land in North Stonington, an undisclosed location nearby where they got married. Boston has reached out to Trillium to confirm the location and for additional details, but all Trillium locations are closed today for a company outing to visit the new property. The town of North Stonington is nearby Fox Farm Brewery in Salem, Conn., Grey Sail Brewing in Westerly, R.I., and other beer destinations. The seasonal spectrum of styles coming out of the Canton brewery itself, as well as the pop-up beer gardens and halls, festivals, and collaborations of the past few years also indicate their vision, they said today. It’s the long game. Team Trillium’s “imminent focus” is on the Boston brewery and restaurant (and roof deck) opening this fall. In the meantime, happy Monday, and stay tuned for more details on all things Trillium.